Patch cables | View our catalogue products | SiliconBlue Corporation Ltd.
Patch cable, CAT6, RJ45, St / St, 2.0m U-UTP, AWG 26/7, black. Outstanding performance and link quality for your network. The network cable is as suitable for patching in network closets. Another field of application is the wiring of the DSL system. CAT 5e STP PATCH gold 10m Outstanding performance and link quality for your network. The network cable is as suitable for patching in network closets. Another field of application is the wiring of the DSL system. Cat 5e Patch cable, 10m Outstanding performance and link quality for your network. The network cable is as suitable for patching in network closets. Another field of application is the wiring of the DSL system. 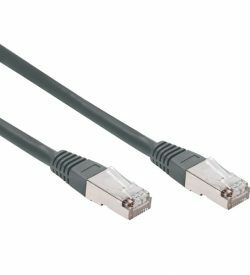 CAT 6 U-UTP patch cable, 5 m Outstanding performance and link quality for your network. The network cable is as suitable for patching in network closets. Another field of application is the wiring of the DSL system.